Along with being the first Dominican player to ever suit up in Major League Baseball on September 23, 1956, Virgil was also the first non-white man to play for the Detroit Tigers. 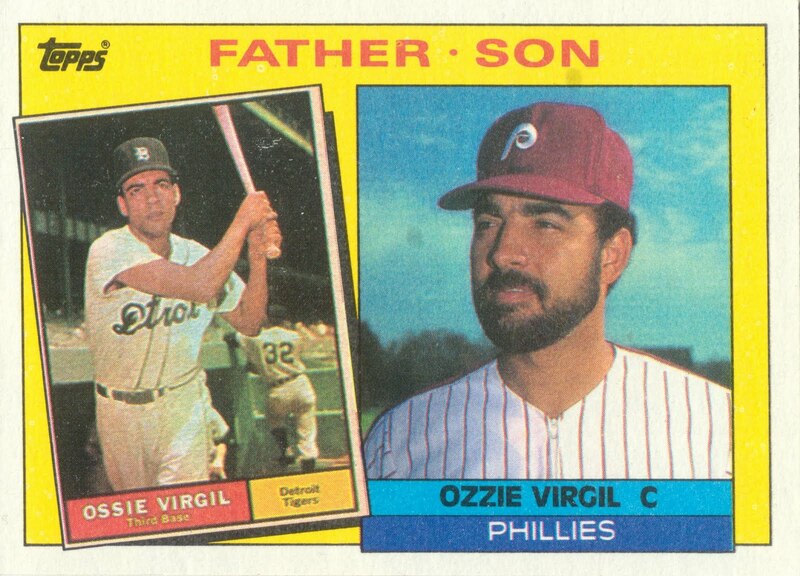 After a career as a utility player (being able to fill a variety of field positions) spanning 1956-69, Virgil entered the coaching game for 19 seasons. The Osvaldo Virgil National Airport was opened in 2006, serving Virgil’s hometown of Monte Cristi. Anyone else notice that father and son’s first names are spelled differently!? Marichal is currently the only Dominican player to be elected to the Baseball Hall of Fame. He is half of what is known as “The Greatest Game Ever Pitched,” as he compiled a 16-inning complete game shutout. Marichal is also remembered for an incident in which he beat catcher Johnny Roseboro over the head with his bat, causing a bench-clearing brawl. Marichal and Roseboro eventually became good friends, jointly autographing photos of the episode. When the D.R. won the 2013 World Baseball Classic, Cano was named MVP of the tournament. His father also had a brief MLB career and he was named after Jackie Robinson, who broke the colour barrier in baseball in 1947. Known for his charity work, Cano has a pediatric rehabilitation ward named after him at the Hackensack University Medical Center in New Jersey. Cano is one of the athletes to enlist rapper Jay-Z as his agent and it paid off with a 10-year, $240 million contract with Seattle. Martinez was twice denied perfect games (no hits or walks allowed) because of unusual circumstances. In 1995, he was 7⅓ innings deep when he threw a pitch that hit batter Reggie Sanders. The next season, Martinez took a perfect game into extra innings and was hit off in the bottom of the 10th, nullifying his perfect effort. All this, despite being undersized compared to his power pitcher contemporaries. At one time, Martinez signed the richest contract ever given to a pitcher at $75 million over six years. 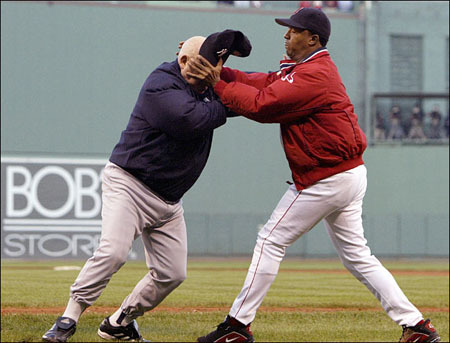 Can’t forget the time Martinez threw 72-year-old Yankee base coach Don Zimmer to the ground… ah, he had it coming! Javier earned the nickname ‘The Phantom’ for his ability to evade runners trying to steal second base. I once tried to steal second base on Mrs. Sip and the results were similar. Showing a hot temper that seems to run through a number of Dominican stars, Javier was once suspended indefinitely for striking an umpire. The penalty was later cut to three days and a fine of $50 (justice served). Given his suspension occurred while playing in the Dominican League and not MLB, this is not entirely surprising. Liriano is credited with one of baseball’s rarest feats: striking out four batters in one inning… a marvelous feat given a team need only record three outs to end their defensive half of the inning. How it happens, is that when a batter reaches his third strike, if the ball is not caught by the catcher, the batter can then become a runner and reach base, so long as there is no runner already at first and he is not tagged or forced out. Only 67 pitchers have managed the feat over the long history of MLB. Big Papi, as he’s affectionately known, is keen on looking after young kids in need. 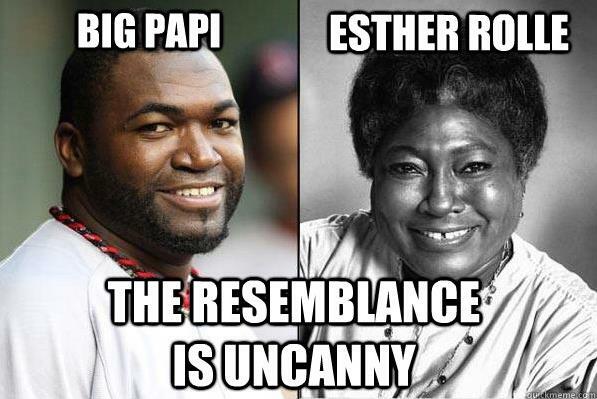 In 2008, he released a charity wine dubbed Vintage Papi, which raised $150,000 for his David Ortiz Children’s Fund. Playing a majority of his career as a designated hitter (ie. not being relied upon to do any fielding) Ortiz holds the all-time record for homers by a DH. His popularity in Boston is off the charts and in 2013, Ortiz finished third in Boston’s mayoral race with 560 write-in votes. For the Good Times fans out there! “Manny Being Manny” was a term used to describe the power hitter’s erratic behavior, including: missing games while suffering from pharyngitis (which just sounds phony), but being spotted in a bar; getting into altercations with his own teammates; disappearing from the field in the middle of a game for a bathroom break; and pushing a 64-year-old traveling secretary when he was unable to fulfill Ramirez’s request for tickets. On the flip side, Ramirez was a clutch slugger and holds the record for most home runs in the playoffs with 29. Try saying his last name without laughing… go ahead, I dare you! Anyway, Pujols (pronounced Poo-Holes… I know, too easy) became an American citizen in 2007, following a perfect score on his citizenship test. Despite this, he has repeatedly tried to aid the people of the D.R. by bringing medical supplies, as well as doctors and dentists to the country to help its poor. His foundation’s annual golf tournament is played to raise money to send dentists to the Dominican. In case y’all needed proof! The two-time home run champion holds the dubious distinction of being on five different MLB rosters in one season. In 2004, Bautista made his MLB debut with the Baltimore Orioles after being selected in the Rule 5 Draft from the Pittsburgh Pirates. 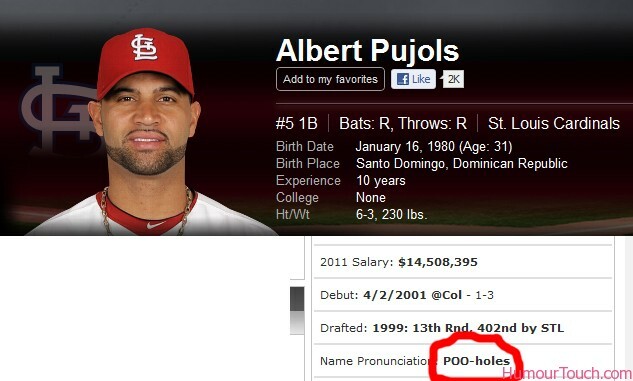 He was then claimed off waivers by the Tampa Bay Devil Rays and later purchased by the Kansas City Royals. The Royals traded Bautista to the New York Mets, who sent him back to Pittsburgh in another trade. I hope he never got too cozy. Sosa is best remembered for his 1998 duel with Mark McGwire, as both men attempted to break the home run record of 61 in a season. Sadly, both Sosa and McGwire have since been tainted by baseball’s steroid era and their achievements that memorable season have been tarnished. Coincidentally, Sosa hit his 600th homerun (one of only five players to do so) off Jason Marquis, who was wearing Sosa’s #21 jersey with the team he had the most success with, the Chicago Cubs. The Dominican Republic is second behind only the U.S. for having the most number of players in Major League Baseball. Perhaps one day, they’ll surpass the States in this regard and the Baseball Hall of Fame will have to be more to Santo Domingo or Punta Cana for easier tourist access. 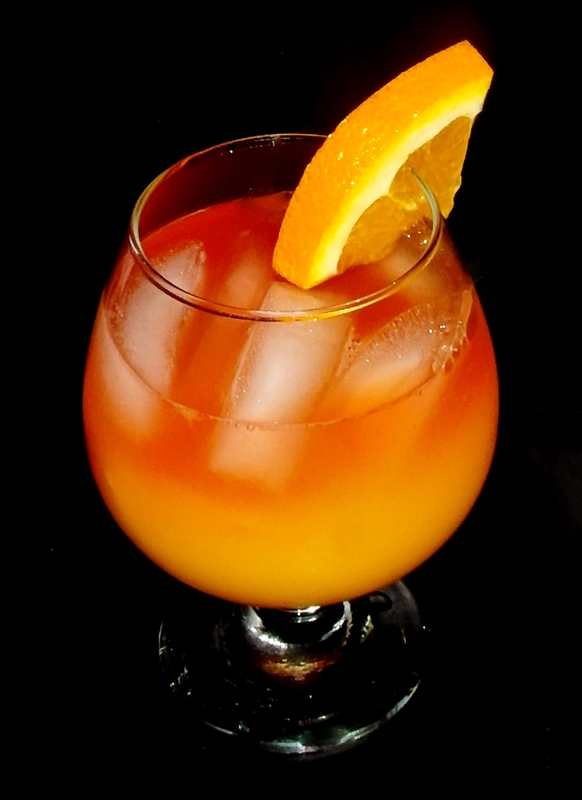 While this drink was good, the Orange Juice hid most of the ingredients. After the first taste, Mrs. Sip and I agreed to douse the cocktail with some more Mamajuana, as well as Chili Chocolate Syrup. The drink probably gets some bonus points thanks to how beautiful it looks with the orange-red blend of colouring.